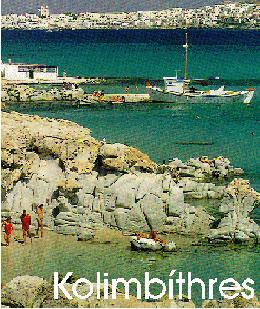 Paros is one of the nicest islands in the Kyklades group. It has an area of 195 square km, and is crowned by Peak of Prophet Elia (771meters). The island is famous for its marble, which was used in many ancient sculptures including the Venus of Milo (now in the Louvre, Paris), the Nikea of Samonthraki (also at Louvre) and many others. Paros is a beautiful island, containing both nice, lush valleys and gorges, making hiking a wonderful pastime in both summer and winter. 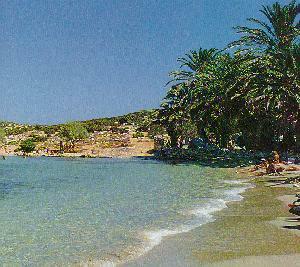 The island has three main inhabited areas, Parikia (the main town also called Hora), Naousa and Lefkes. In Hora, we find the wonderful church of Ekantotapiliani (having 100 doors), which dates from the 4th century and which was built by Saint Helene, on her way to Konstantinople (Istanbul). 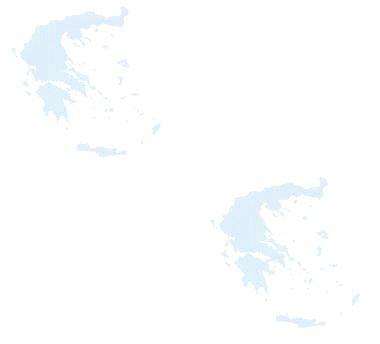 The island became part of liberated Greece in 1830, together with most of the Kyklßdes islands. 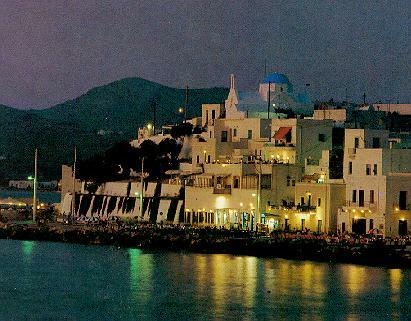 Today Paros is one of the most sought after destinations in Greece, and ranks third in visitors right after Mykonos and Ios. 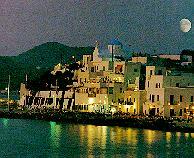 This is the main port of entry and the main town on the island. The town has a population of about 3000 inhabitants, but during the summer, it goes up exponentially with all the tourists. 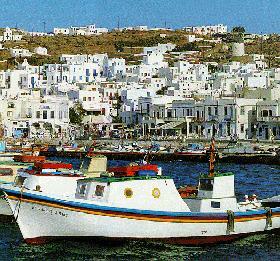 The town is painted in whitewash and look like Mykonos (minus the windmills, naturally). Above the town we find the castle which was built in 1260 by Venetians. Apart from the Ekatontapilian_ church (see above), we also find ruins of the asclepion, a cave containing a chapel dedicated to Saint John and nearby, the valley of the butterflies. This small town has been overun with accomodation to serve the thousands of tourists who descend upon it. Situated in a very large bay, north facing, it, gets usually hit by the North Meltemi wind, which makes for rather unpleasant vacations. In fair weather however, it is a great place to stay. The village is very nice and fresh fish can be gotten here. Beautiful village built in an amfitheatrical style, up the main mountain with wonderful vistas all around. The town hall is especially nice being built with Parian Marble.